I start my day with a morning shower at 7 am, then going to the hotel’s lower ground for breakfast. I had omelette, sausages, and bacon for breakfast, pretty much all they served in there. After finishing my plate, I still had one and a half hour until we departed from Frankfurt to Nuremberg, so I decided to take a walk around the hotel. 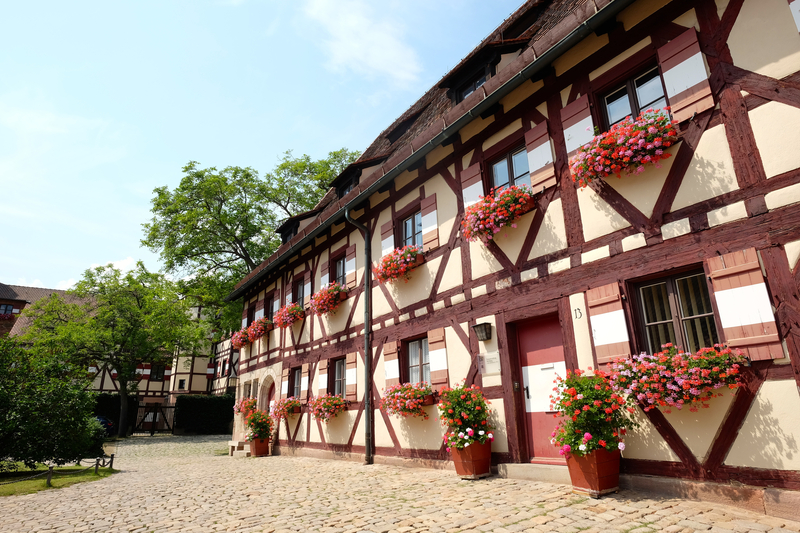 I saw German’s people houses which mostly have a garden and several windows facing the street. Mercure Wing Airport Hotel is surrounded by at least five car repair garages, there is little to see around there. 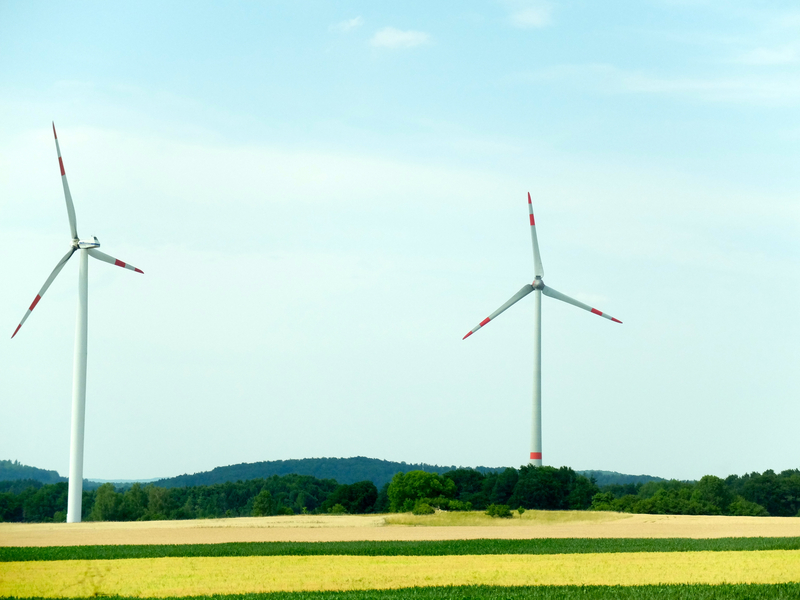 Landscape on the way to Nuremberg from Frankfurt. On our bus ride to Nuremberg Castle we stopped once in the rest area and bought ice cream, since it was a very hot day. Once we arrived in Nuremberg we had lunch before going to the castle, we walked passing the State Theatre Building. There is a Chinese Food restaurant across the State Theatre and we ate there before heading for another 15 minutes to Nuremberg Castle. Street nearby my lunch location in Nuremberg. 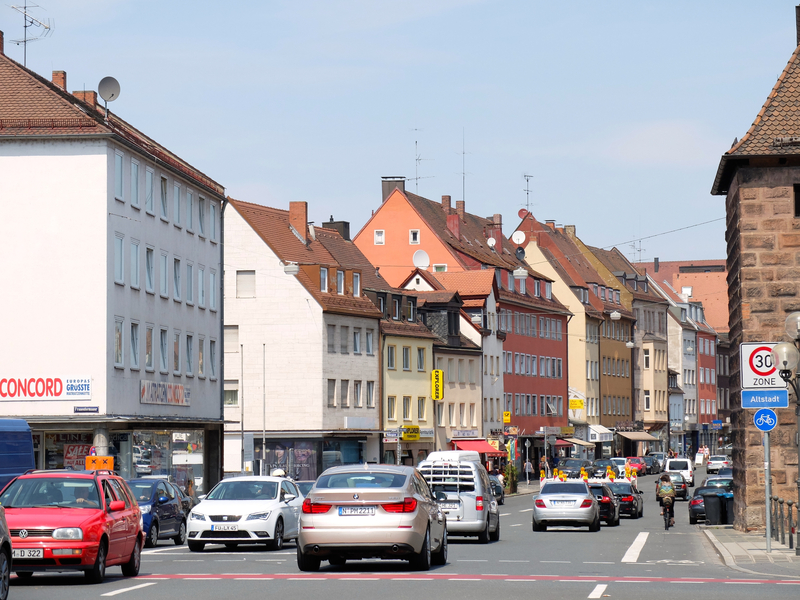 Archeological investigations during recent years indicate that the place was already settled around the year 1000, Nuremberg was first recorded in 1050, when Henry III visited the town. Legend has it that in 1372, the robber baron Eppelein von Gailingen escaped death on the gallows when his horse leapt into the castle moat. It is said that at this certain place the imprints of his horse’s hoofs are still visible in the fortification wall. 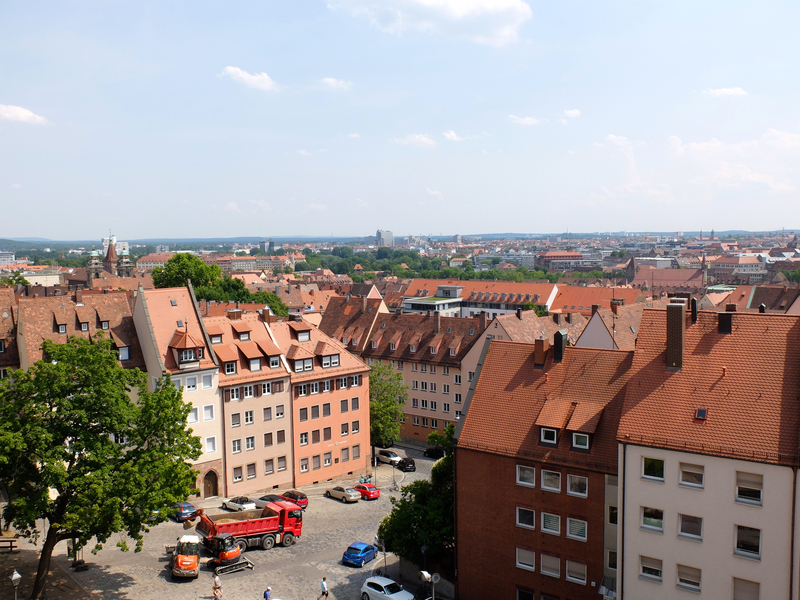 City view from Nuremberg Castle taken from the spot where the horse leapt. Inside one of the castle chamber. In World War II, the castle was damaged in 1944-45, with only the Roman double chapel and the Sinwell Tower remaining entirely intact. After the war, the castle was restored under the direction of Rudolf Esterer and Julius Lincke to its historical form, including the Luginsland tower which had been completely destroyed. 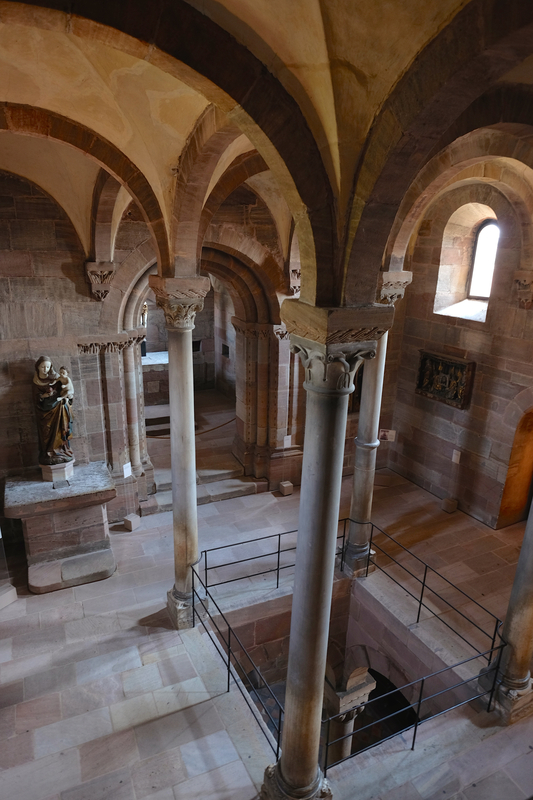 The complex inside Nuremberg Castle. After we toured around Nuremberg Castle we continue our journey to Prague, which we are going to have city tour tomorrow. Prague is the capital and largest city of the Czech Republic. It is also the historical capital of Bohemia. Situated in the north-west of the country on the Vltava River, the city is home to about 1.24 million people, while its larger urban zone is estimated to have a population of nearly 2 million. Founded during the Romanesque and flourishing by the Gothic and Renaissance eras, Prague was not only the capital of the Czech state, but also the seat of two Holy Roman Emperors and thus also the capital of the Holy Roman Empire. 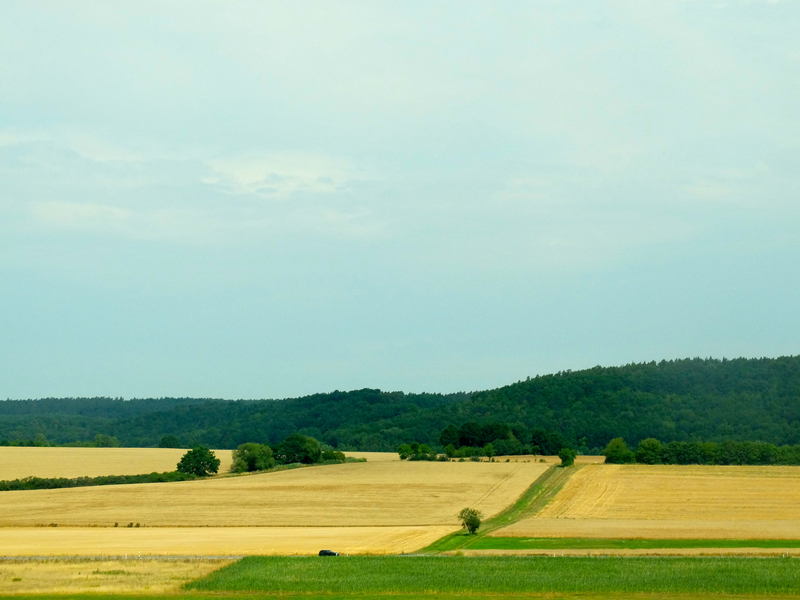 Landscape along the road from Nuremberg to Prague. Prague is home to a number of famous cultural attractions, many of which survived the violence and destruction of 20th-century Europe. Main attractions include the Prague Castle, the Charles Bridge, Old Town Square with the Prague astronomical clock, the Jewish Quarter, Petřín hill and Vyšehrad. Since 1992, the extensive historic centre of Prague has been included in the UNESCO list of World Heritage Sites. I am going to visit the first four place tomorrow. Prague ranked fifth in the Tripadvisor world list of best destinations in 2014. Once we entered Prague, we had dinner in the seventh ring of the city. We have Chinese dinner then went to Barcelo Hotel where we are staying for the next two days. Sunset from my hotel room in Prague. 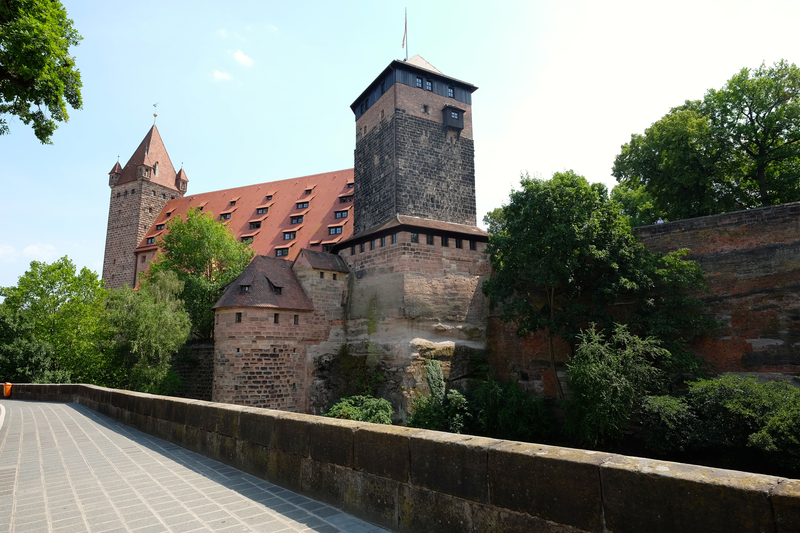 This entry was posted in Eastern Europe, Travel and tagged bus ride, castle, czech republic, east europe, frankfurt, germany, landscape, nuremberg, prague, tour, Travel, trip. Bookmark the permalink. Enjoy your stay in Prague! 🙂 I´m looking forward to reading about it. Thank you! I’m enjoying the night walk in Prague very much.